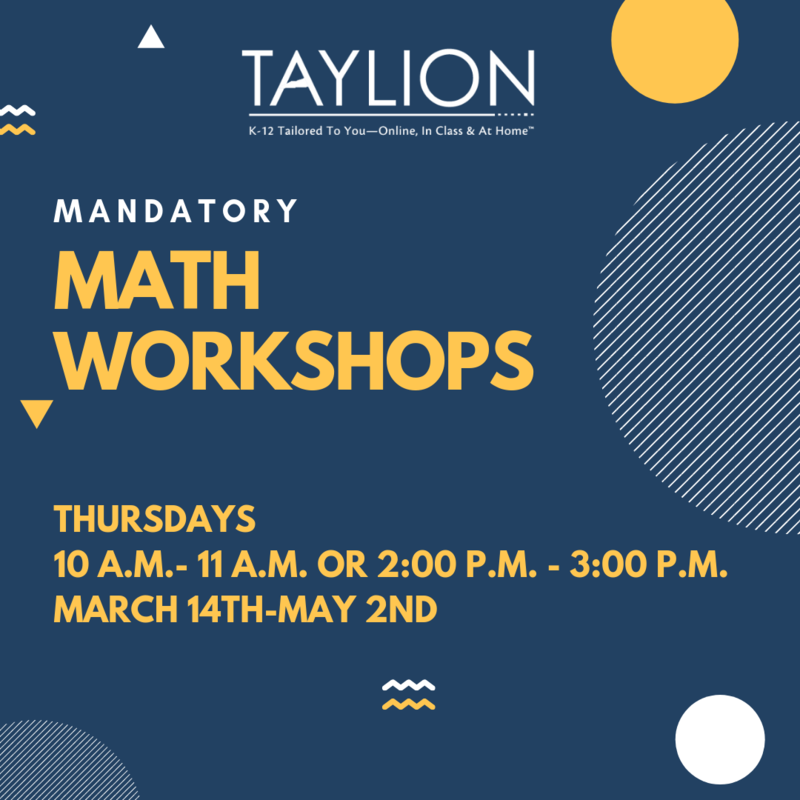 In order to help students be ready for the upcoming state testing, Taylion will be hosting Math Workshops on Thursdays. All 11th grade students are required to attend these workshops. 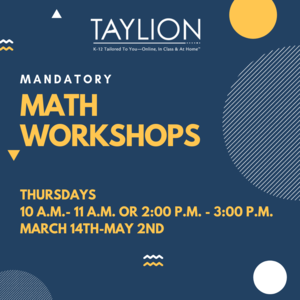 Workshops begin March 14th (with a week off for spring break on April 4) and end May 2nd. 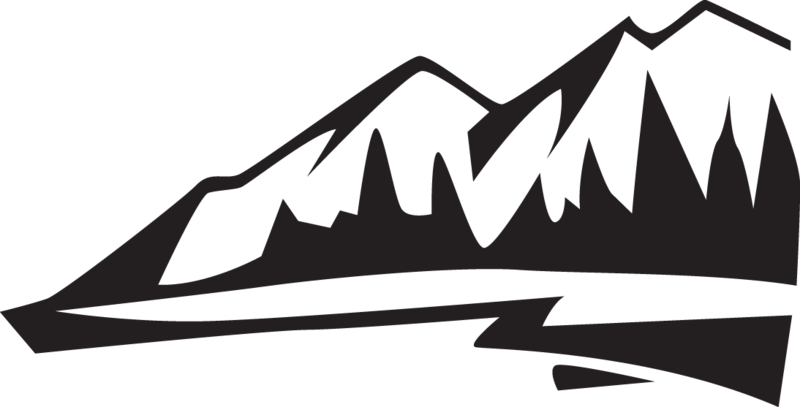 There will be two workshops hosted every Thursday, one at 10:00 a.m. to 11:00 a.m. and another at 2:00 p.m. to 3:00 p.m. Please see your teacher for more information.